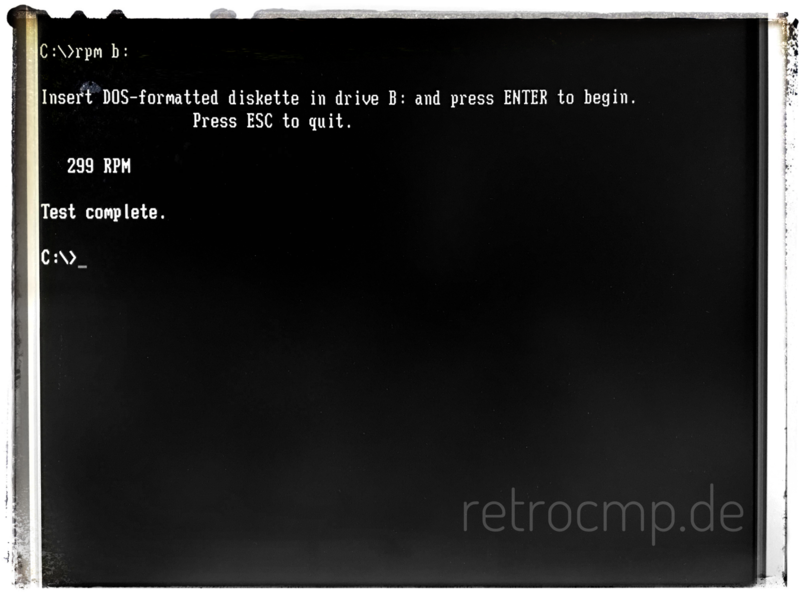 RPM by Sydex determines the rotational speed of any diskette drive connected to your diskette adapter. The program is effective and easy to use. Must have! Originally RPM is a product by a company called Sydex. Unlike 22Disk or Teledisk, RPM can be used for non-commercial purposes. Here is the RPM.TXT and the download path to Gaby Chaudrys FTP Server.